Vice President Yemi Osinbajo has shared more insight about the helicopter crash he survived in Kogi last month during the rigorous presidential campaign rally across the 36 states of the federation. 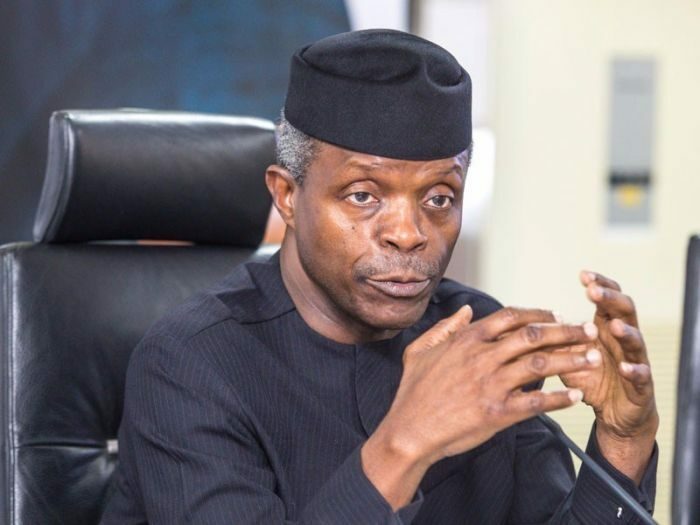 Osinbajo who spoke during a Banquet Hall at the State House during a special thanksgiving service for the victory of the ruling All Progressives Congress (APC) said the fact that he survived the crash is enough for some people to be happy about. He added that many governments, non-government officials and his security details would have been put in trouble for many things they didn’t even know about, if he had died in the crash. “On February 2nd, God gave me reason to know that but for His grace we would have been consumed, when our helicopter crashed. “When the crashed occurred, for a moment there was complete silence. For a second, it occurred to me that if we had died, that is what it would have been – complete silence. But we all got out without a scratch. God delivered us. “God is surely worthy to be praised. I have no special qualifications to be here but exaltation comes from God”.